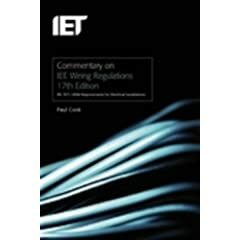 IMPORTANT NOTE - when buying books from Amazon, seek confirmation that they are the latest versions. 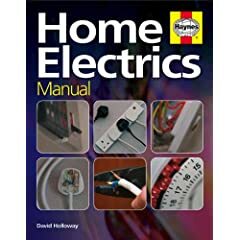 And be very careful not to buy US books - Amazon UK sell US electrical books in the UK despite them being at best useless and at worst liable to kill you. 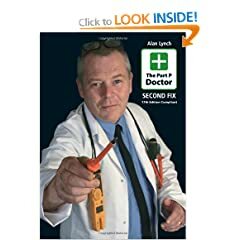 If you see photos of US style switches or sockets, or black & white wires etc, give it a wide berth, it’ll be a waste of money. 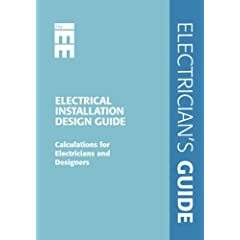 This is described as “Although not intended as a DIY manual, non-qualified persons will also find this book useful reading.” but by the looks of it it’s ideal for DIYers who want to know what they are doing, which should be everyone. 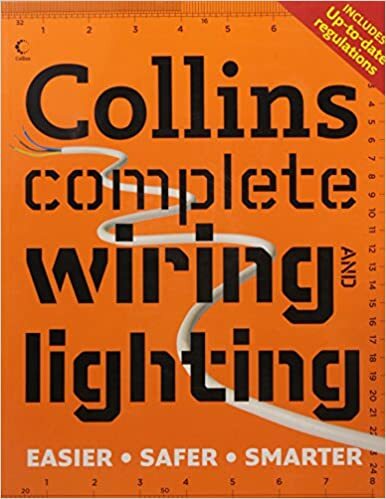 The next 2 are traditional DIY books which may not tell you about circuit design, testing etc. 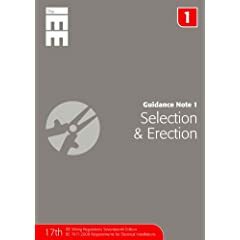 No idea about this one, but if it’s as good as their car manuals it’ll be useful. 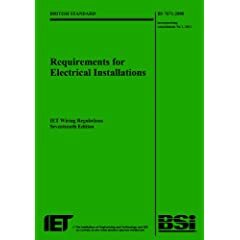 The next 2 are essential. 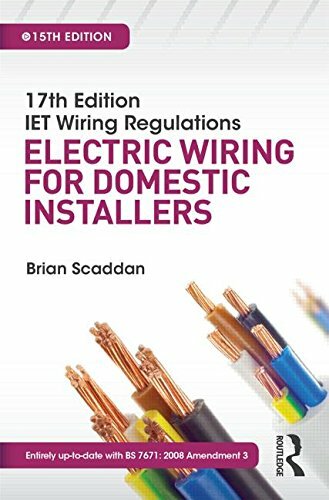 Or one of Brian Scaddan‘s many books. 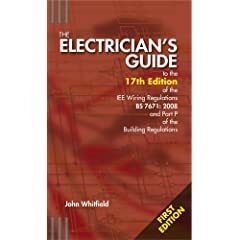 You can get a feel for the 16th Edition version of Whitfields book here. 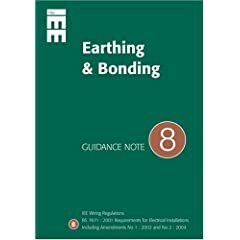 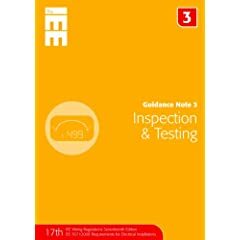 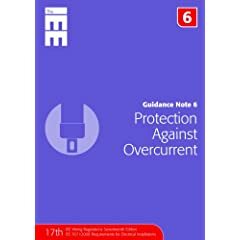 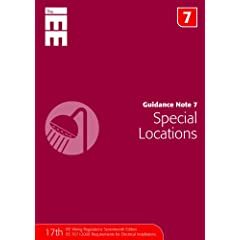 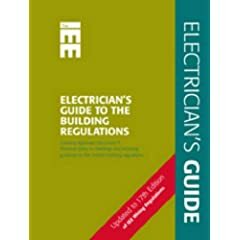 It is worth looking at while you wait for other books to arrive, as it will give you useful general information, **but please bear in mind that it applies to the previous version of the wiring regulations**. 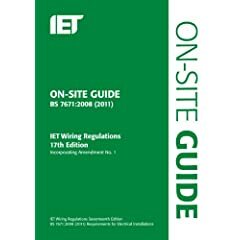 I would strongly recommend a copy of the Wiring Regulations, and also (but not as strongly) copies of the Guidance Notes, but bear in mind there were new versions out in 2008 onwards, as the Wiring Regulations were revised. 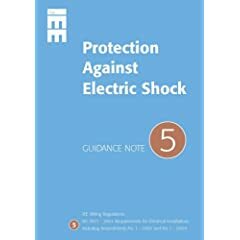 A lot of people on eBay are still selling old versions, pay close attention, and don’t buy the 16th Edition ones by mistake.